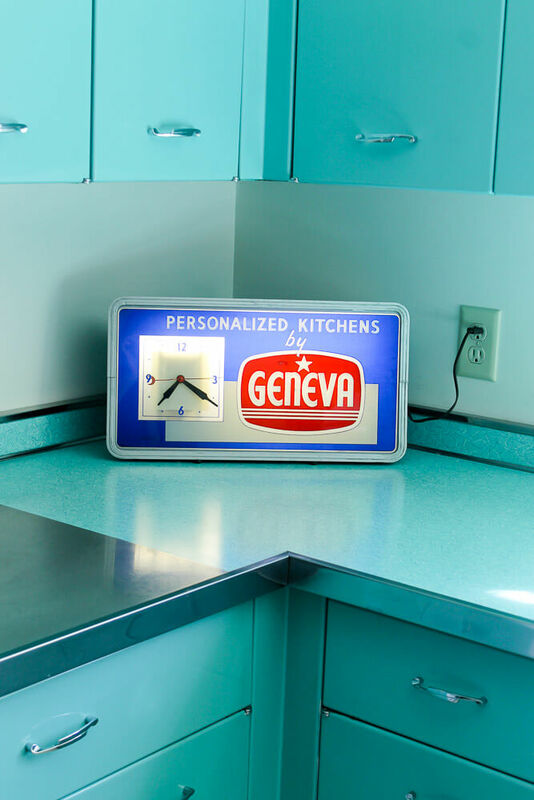 Wouldn’t you just love to jump in the time machine and travel back to 1954, to see the big trade show with all the new Geneva Kitchen Cabinets — and more — being unveiled? Photo: from my personal collection — there are more from this event, which was pretty darned classic — full of regional managers making presentations to salesmen, exciting new-product reveals — cabinets and appliances both, and models on hand too. I will say, though: It looked hot. As in: the days before air conditioning, and everyone was in suits and ties etc. Click on the photo, and it should enlarge up to 1,000 pixels wide. Oh yes! They don’t make’em like that anymore. Such durability – the cabinets and the adjoining booth full of Whirlpool laundry equipment. 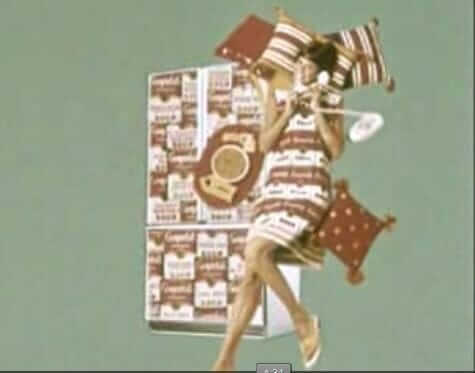 Who knew back then that post war mid century consumer and household goods would one day be coveted vintage delights. Please share more pictures from the way back time machine. This photo tickles me on so many levels! 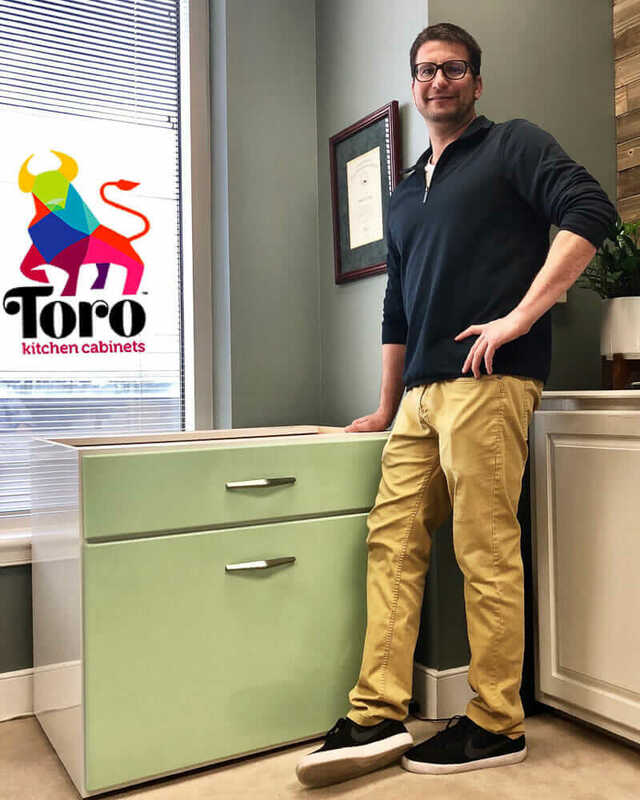 I ADORE retro renovations (why I lurk here) and my career is in tradeshows. Any idea on what event this was? I’m staring at the architecture of the convention center trying to decide! I almost want to print this for my office. Would that be too extreme?? I have more photos from the same event. I also had a career that involved trade shows (auto shows). I tend to think this was a regional intro — audience was sales outlets, not the general public. And: I drew you out of lurker status! Hooray! I always find what you offer to be interesting or useful. Does it give month/days when this show was happening? Being all dressed up back then, I’m not sure people “suffered” as much as we do today. While I appreciate a/c, summer doesn’t bother me as much as others. I watched Stacy & Clinton for several months and while I’ll never be accused of being a fashion plate, I sometimes wonder about back then when people “got dressed” and “dressed up”. Jeez, even Aint Bea & Clara looked spiffy in their everyday dresses but when they went downtown, they dressed better! S&C have a point about not wearing athletic gear & scrubs as daily wear. I sure don’t get as dressed up as what they suggest but neither am I rolling out of bed and going about my business in pj pants and mules! And there are other clothes to wear besides jeans & T-shirts. I’m already viewing my “wardrobe’ (snort!) with fresh eyes. I probably won’t look as fancy as 1950′ & ’60’s but at least I won’t look as if I’m in the middle cleaning the garage! Is that a TV built into a kitchen cabinet next to a sink? Not too smart. Water and electronics don’t mix. I love the Whirlpool display next door also! My grandfather used to go to trade shows like this for Whirlpool, so appliances have a special place in my heart.